Limited time offer. Dealer participation varies. Installation extra. Upon approved credit. See dealer for details. Culligan Aqua-Cleer CC Coolers Use A Multi-stage Process to Treat Your Water. Providing crystal clear, great tasting drinking water. Providing crystal clear, great tasting drinking water free from contaminants. Reverse osmosis system – reduced contaminants such as lead, sodium, radium and even Giardia Cysts by forcing water through an ultra-fine membrane. A second activated carbon – filters gives the double assurance your drinking water is clear and fresh. Providing the highest quality drinking water at your fingertips. Bio-Cote to inhibit biological growth. The Clean, crystal clear, great tasting water you deserve. 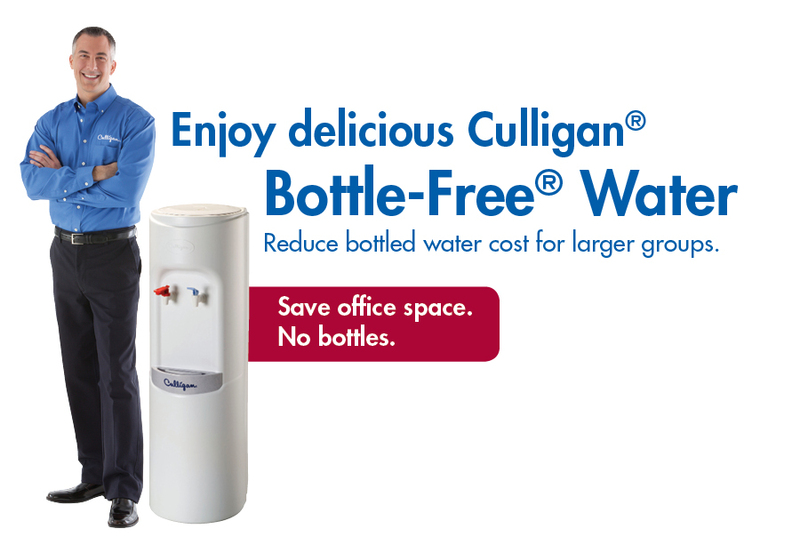 Looking for a Culligan Bottle-Free® alternative for your home? Check out the Culligan Aqua-Cleer® Advaced Drinking Water System. The same great filtration, but installed at your sink! The sensible system that frees you from bottled water, With simple features, it’s perfect for your everyday drinking water needs. Three water temperature settings (room temperature, cold and hot) provide the right water for everyone. A sleek and energy-efficient water cooler system designed to bring the cleanest water possible to your home and office. Extra-Hot Boost is perfect for hot beverages. Small and compact, counter top model. The Mini is a Energy-efficient water cooler system designed to bring the cleanest water possible to your home and office.